Ahead of the IMO sulphur cap 2020, Shell Marine has introduced a new two-stroke engine cylinder oil specifically for use with engines running on 0.5% sulphur content very low sulphur fuel oil (VLSFO). The new product, Shell Alexia 40, will be available for use in Singapore from June 1, 2019. It will be gradually introduced to other main supply ports within the Shell Marine global network such as the US, China, United Arab Emirates and the Netherlands before January 1, 2020, the company said. As explained, the lubricant has been developed to optimize equipment performance and condition as ship owners and charterers prepare for the International Maritime Organization’s (IMO) 0.5% global sulphur limit for marine fuels in 2020. 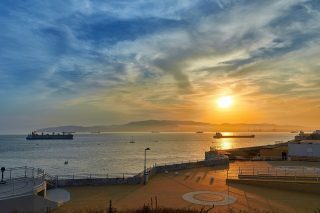 Shell Marine expects most of the world’s shipping fleet will aim to comply with IMO 2020 by switching to fuels with a sulphur content of 0.5% and below. “Shell Marine can help ship owners and charterers be prepared as the world moves to a low emissions future… we will help our customers to have the right lubricants in the right place at the right time to take the uncertainty out of fuel selection,” Joris van Brussel, Shell Marine Global General Manager, commented. According to the company, Shell Alexia 40 has undergone thousands of hours of trials on board four ships with the latest engine types, using representative IMO 2020-compliant fuels, to verify performance at sea. “Owners transitioning to the post-IMO 2020 marine fuels era need peace of mind over the condition and performance of their engines. To remove any uncertainty, Shell Alexia 40’s performance has been fully tested on representative VLSFOs and engines for the operating conditions owners will actually face,” Shaw Siang Hew, Shell Marine Regional Sales Manager for ASEAN and South Asia, said. Shell Marine, part of Royal Dutch Shell, serves over 10,000 vessels globally, ranging from large ocean-going tankers to small boats.